So, why would an average person want to read a scholarly article? For some, it may be simple curiosity. For others, however, especially when it comes to medical journal articles, it may be someone who is reading all they can about a recent diagnosis they or a loved one is facing. But whatever brings a layperson to a professional academic journal, there will be a learning curve. We hopes this quick overview helps make this curve a little easier to scale! 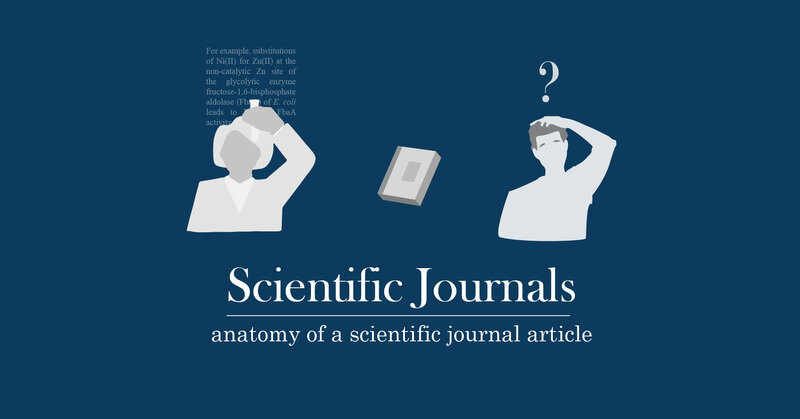 While there may be some variety in formatting for certain specific journals, most will follow the following sections: Abstract, Introduction, Materials and Methods, Results, Discussion, and Literature Cited. The abstract is a one-paragraph description of the entire study. A person should be able to read this paragraph and know the question being investigated, the experimental design, the major findings, and a brief description of the interpretation of those findings. Scientists use abstracts to winnow down the number of journal articles they read in depth, so it’s critical that all the major parts of the study are included. Tip for the layperson: Read this section first! Skim over words and numbers that don’t make sense and read the last few sentences, which will usually sum up the findings. This narrative section allows the authors to put their research in context of the bigger problem, existing research and thoughts of the field, while explaining their unique hypotheses and rationale. Journal articles about hospital-acquired infections, for example, will generally have an introduction that states the magnitude of the issue of HAIs, the specific research in the area they are discussing (for example, a pathogen or treatment), and why they chose to focus on their research area. This section will contain many references to the “literature,” that is, the research already publish in reputable journals. Tip for the layperson: This section is useful for finding other articles or research you may want to read. Towards the end of the section you will find the goals of the research team. The authors go into detail here about what and how the major topic is being studied such as the setting, the experimental design, how the data was collected, and how the data was analyzed. For example, in a study on hand hygiene protocols as a tool to prevent MRSA, this section would contain a description of MRSA and the infections it causes, the hospital(s) where the hand hygiene programs were run, any control groups or participant selection protocols, how information on the hand hygiene program and MRSA was collected, and what statistical models were used to analyze the resulting data. Here authors would also present what they believe to be factors that could have influenced the results that weren’t measured (called confounders). This section is intended to set up the logic of the experiment: What was done and why it was done that way. Tip for the layperson: This is a section you could probably skip. The amount of detail in this section supports the scientific method step of reproduction, allowing another scientist to conduct the exact same study if they choose, but this degree of detail may not be relevant to you. This section just provides the results of the study without interpretation. This is just a clear presentation of the key results, often with tables or illustrations. This section will also discuss “p-value,” which is essentially how significant any results are. In this context, significant would mean that the results are outside the expected range of just chance. For example, if you flip a coin, the chance you would get a “heads” is about 50%, as established by all statistical models. If you flip a coin 100 times and get “heads” 75 times, this would be a significant departure from what was expected. If you get “heads” 99 times, that would be even more significant. Tip for the layperson: The numbers stated here will be restated, with interpretation, in the next section. You can skip this on the first reading and come back to it later if you want more specifics. Now the authors get to the fun part: Interpreting the results. This is where the researchers get to pull everything together to tell a scientific story, almost a continuation of the Introduction. The reader now knows the context and the numbers, but now the authors explain whether or not the results adequately answered their original question, how the results increased the body of knowledge on the subject, and what questions remain unanswered. This is the section in which authors can compare and contrast their results to work done before them, how it answers previously unanswered questions, or how it poses new ones. Finally, the discussion allows authors to put their results into context, bring up possible issues with their results such as confounders. Tip for the layperson: After the Abstract, this is the section you will be interested in first. You’ll get some broad data as well as the overall results, but also get an idea of what reasons the research team has come up with for why those results were attained. This is just a list of all the research referenced, or cited, in the article. The specific works are cited in the article itself in one of two ways: the author and date in a parenthesis or a superscript number at the end of the sentence mentioning the study. In either case, you look the Literature Cited section to find the title of the article, the journal name, publication date, and page numbers. Authors will be listed alphabetically for the parenthesis style, but for the superscript style, articles appear in order that they are referenced. Tip for the layperson: Are you looking to read even more about the topic? Consider this section your reading list! Almost all scientific journal articles will have these sections. Some may have more, or may have several subheadings, but the basic format will be the same. An added note, which may help the average reader better understand the context of the authors' work, is the requirement that authors include any financial, professional, or even personal relationships that may have affected their work. This includes who funded the research, additional income the author receives from a corporation, or a personal affiliation with a entity involved in the research. These notes are often found right after the author list, but sometimes at the end of the article. A final tip for the non-scientist reading journal articles: Don’t be discouraged after your first reading! Go back and reread the Abstract, and look up terms you aren’t familiar with. Most likely, you will only have to do this level of close (and slow) reading for 1 or 2 articles; after that (as long as you stay within the same basic area of science), you will begin to see the same terms and same concepts come up. Before long, you will be reading scientific journal articles with your morning cornflakes!